Sajid Javid has served as Conservative MP for Bromsgrove since 2010. Recently in the June 2017 General Election, Sajid received 33,493 votes, which equaled a 62% majority, retaining his seat. Sajid currently serves as Secretary of State for Communities and Local Government. Sajid was born in London and is one of five sons; his father is a bus driver. 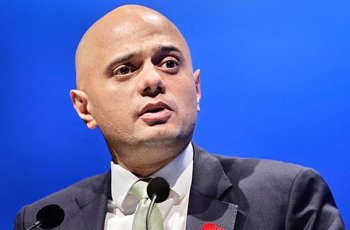 Sajid went to state schools before studying Economics and Politics at Exeter University. It was here he joined the Conservative Party and met his future wife. At the age of 24, Sajid became the Vice President of Chase Manhattan Bank. He was later headhunted by Deutsche Bank in London to help build its business in poorer countries, and left as a senior Managing Director in the summer of 2009 to try to give something back through politics. Sajid is considered to be global leader in trying to raise investment in poorer countries. Sajid has also been involved in community work all his life, raising money for the Disaster's Emergency Committee and hiking to the summit of Mount Kilimanjaro. Sajid has been a member of the Work and Pensions Committee, Public Accounts Committee and Economic Secretary for HM Treasury. He is currently Financial Secretary for HM Treasury and a Trustee of Westminster Children's Society, London's largest childcare charity. On 9 April 2014, Prime Minister David Cameron appointed Javid to the Cabinet as Secretary of State for Culture, Media and Sport and Minister for Equalities following the resignation of Maria Miller over her expenses. This made him the first MP to have been elected in 2010 to join the Cabinet, and the first British Asian MP to lead a Government Department. Shortly after his appointment, he was made a Privy Councillor.